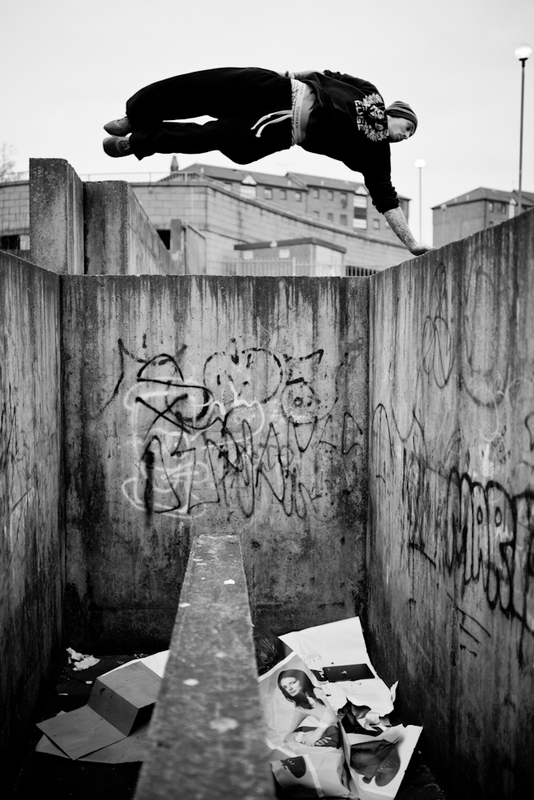 Below are a small sample of photographs I had taken with the Parkour Practioners in Coatbridge, Scotland. 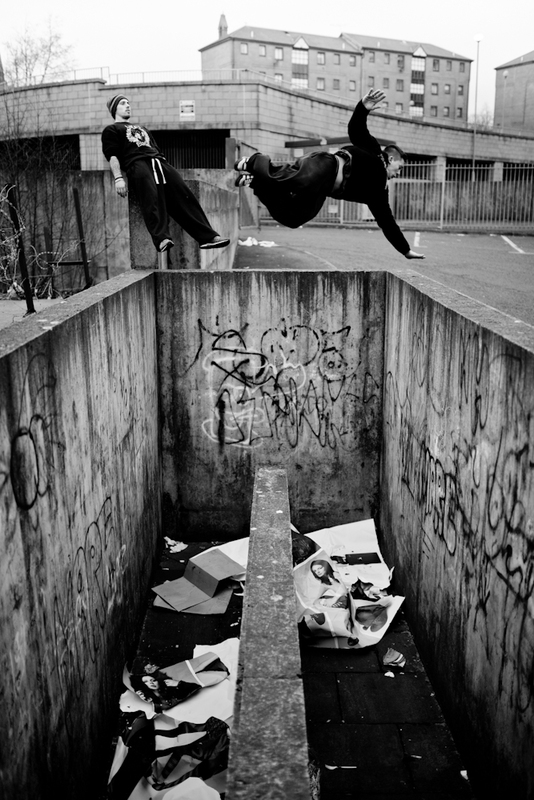 Above you can see Alex Pownall and Peter McKee, skilfully taming a new move “One handed Kong” Leaping from one side, landing on just one hand on the other side, and tucking the body through to land over the wall. 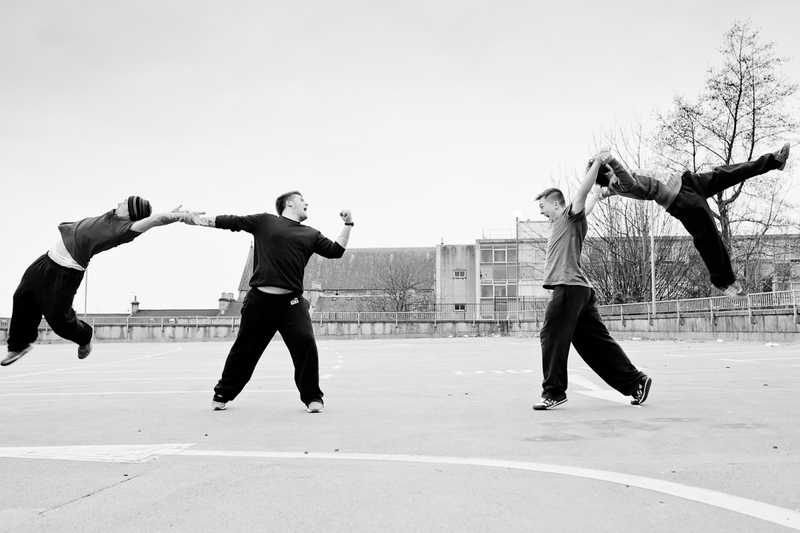 As well as Parkour we had some fun with movement in the photos below. Loving this series of images. Good stuff! « Falling from the Light. 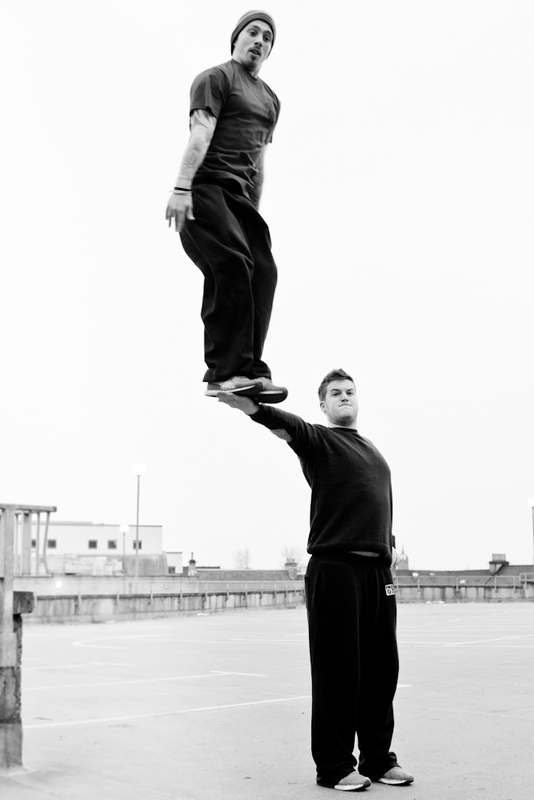 You are currently reading Recent photoshoot in Coatbridge at Zeno Watson.